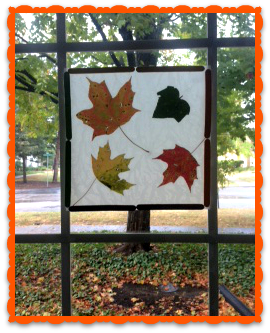 Now that fall is approaching, it’s the perfect time for crafting. Chilly weather, a warm cup of cider and glue! A few of my favorite things. This time of the year leaves are everywhere. Why not recycle them? 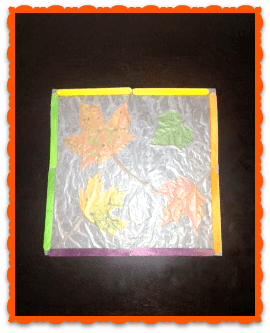 This is a fun activity you can do alone or with the kids. 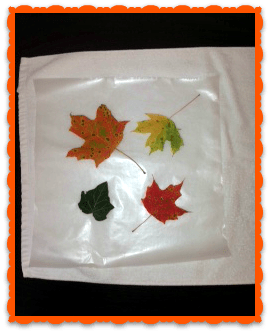 They will love picking out their favorite colors and shapes to use in this super easy and beautiful fall craft idea. Lay the towel on a flat a surface and place 1 piece of wax paper on the towel. Make sure you leave enough towel surface to cover the top of your project. 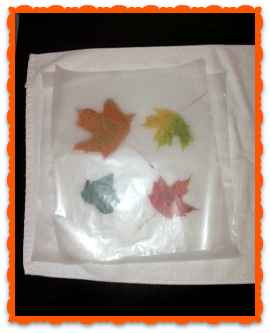 Arrange your leaves in any patter you would like. Get as creative as you would like. Once you have them configured, lay the second piece of wax paper on top carefully making sure not to move your arrangement. 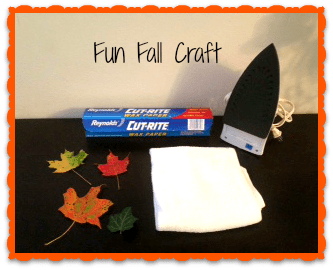 Fold the towel over your project and iron firmly. I placed my iron on the hottest setting to ensure the wax paper would melt. 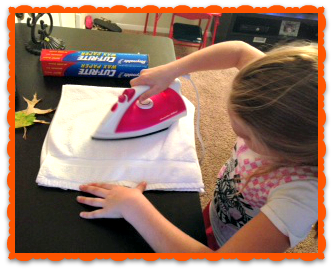 Continuously move the iron so that the towel doesn’t burn or melt. 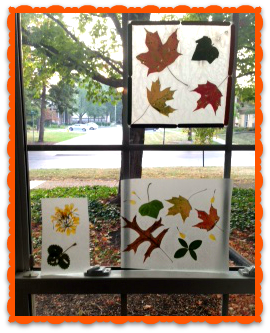 Be proud of your work and hang in the window for all to see! You can also do this with flowers or tissue paper. So much fun and super easy to do.